Downtown Decorations, Inc. is proud to announce that a majority of our goods are now being made in America. We believe that by keeping these manufacturing jobs here, we can help the American economy grow and create opportunities for future generations. We also think it is important to support safe working conditions, child labor laws, minimum wage restriction and product safety standards. Right now, we work with manufacturers located in Vermont, Minnesota, Oregon, Colorado, California and New York. In addition to higher quality products, domestic manufacturing helps to reduce the carbon footprint. We no longer have to ship the products from halfway around the world, which reduces the need for fossil fuels to transport them. Having our goods produced in America also makes it easier for our customers. Items can be made on demand, which reduces and nearly eliminates running out of stock when critical last minute orders are placed. 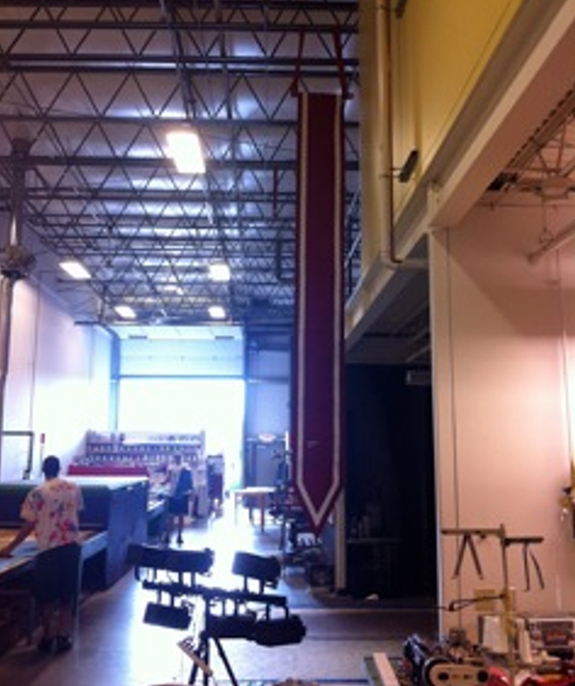 · The film used to spin the garland is a heavier weight in thickness as well as from a higher quality film. This reduces fading and makes them more crush resistant. · The center core wire is domestically produced as well and spun thicker for durability. We also used galvanized wire throughout to nearly eliminate potential rusting in high-use winter environments. 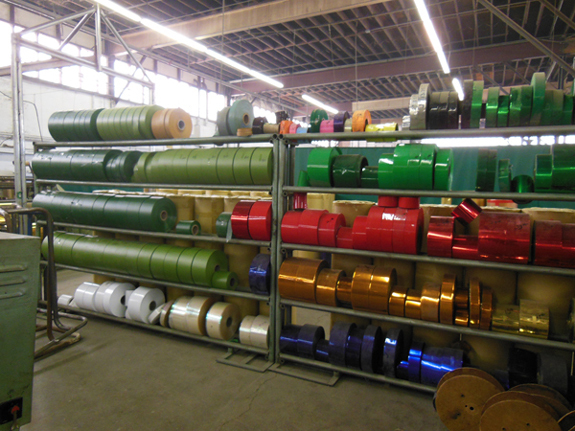 · Since garland is spun on demand, we can customize it for our customers. This includes colors, tip counts, sizes, and shapes. If a customer wants purple and silver garland, we can just dial the machine in and spin away. 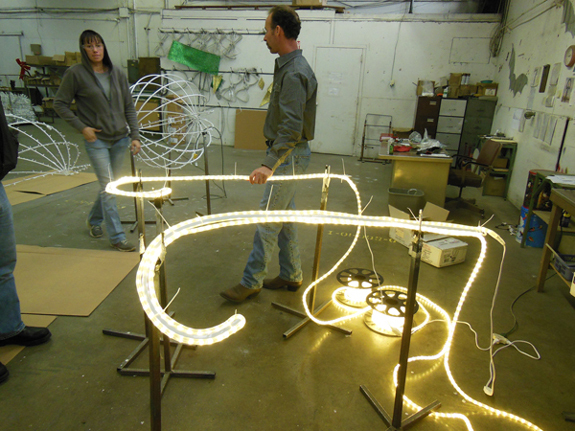 Downtown Decorations, Inc. is committed to manufacturing our products in America. It is exciting for us to join the ranks of businesses that are buying and selling American, and put our dollar back into our economy.